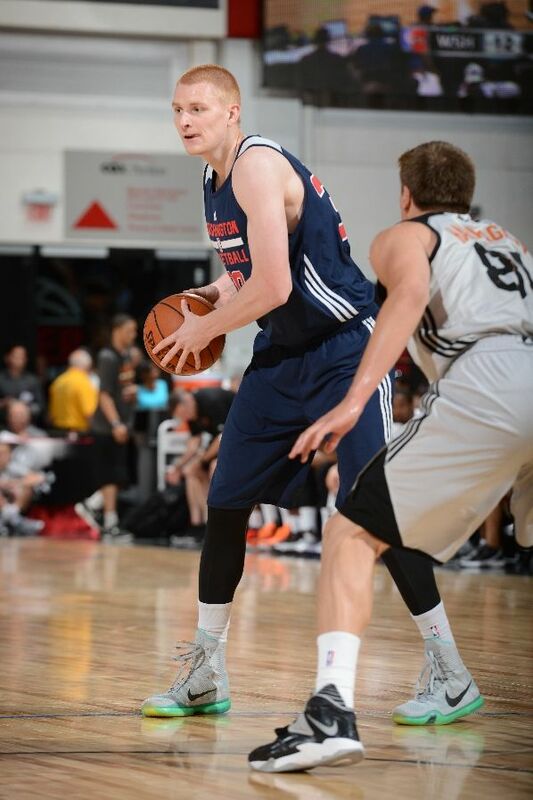 Aaron White flew out to Las Vegas as a member of the Washington Wizards’ summer league team with, as always, high expectations. He was the team’s second-round pick in the NBA draft last month, 49th overall, and wanted to prove he could help the regular team this season. But White has scuffled in the Wizards’ five summer league games so far, averaging 3.6 points and shooting 34.8 percent from the field in 18.4 minutes. Sure, there are basketball reasons for the rough transition. He said he hasn’t been consistently setting his feet when he shoots and could use 10 more pounds of muscle on his 6-foot-8 frame. But White believes it extends beyond basketball. White, 22, entered the week with an outside shot of getting a training camp invite — the Wizards’ 15-man roster is already filled — but he confirmed Thursday that he will “probably” go overseas next season. “The thing with training camp is if I went to training camp and I didn’t make the team, I’d have to get cut and the Wizards would lose my rights,” White said. “So right now it’s looking like I’ll probably go overseas. I’m in talks with both my agent and the front office of the Wizards trying to work out a good situation for me.